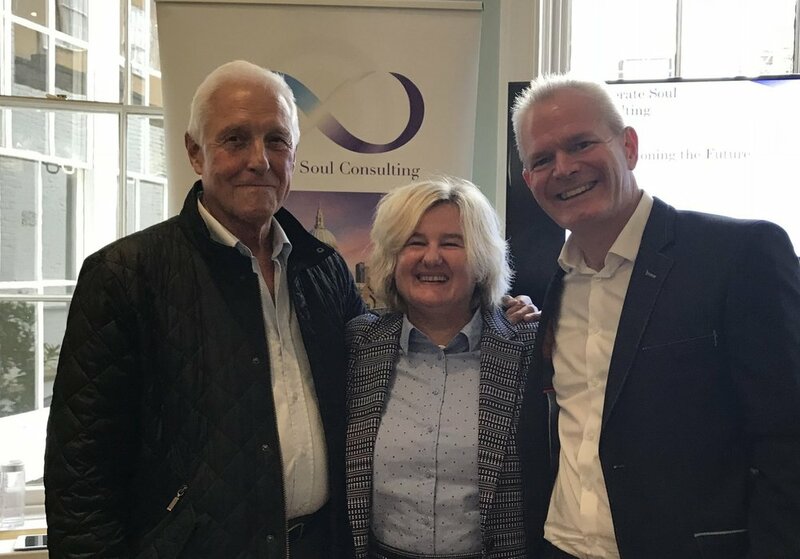 On the 18th of October Corporate Soul launched their new leadership programme, 24 wonderful human beings came to learn about a new way in leadership. One where each leader will learn about who they really are and what their big purpose in this life is all about. They will be the change advocates in organisations, who will be compassionate, inspirational, purposeful and will create cultures where people thrive and are full of creativity and passion for what they do. The old way of treating the symptoms of stress with well-being programmes and initiatives is not working. We need to address the cause of stress, which according to the Centre for Mental Health is costing every organisation £1,300 per employee per year. By awakening Enlightened Leaders who are compassionate, they will create cultures where employees thrive, this is the new way forward. “I can’t believe how quickly I could access that feeling of calm”. If we can do this in an hour and a half imagine, what we can do with leaders on a three day residential course! In essence the full programme is three three day workshops, the first is all about self-leadership, the second is about coaching others and the third is about leading change. This is no ordinary leadership programme, we have four principles that we believe will change the way organisations operate, moving from fear conflict and blame to harmony. Below is a three minute video where Tara brings these to life.